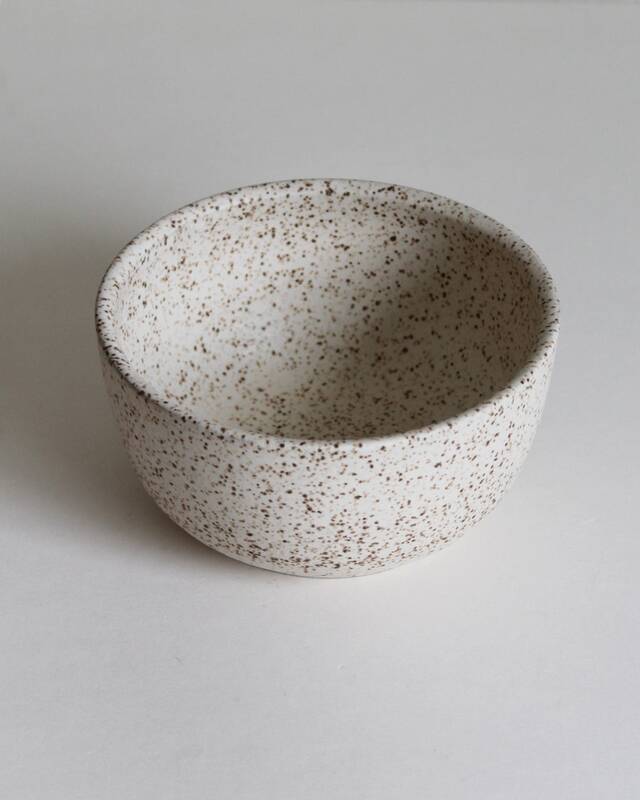 Hand thrown cereal bowl in a speckled matte white glaze. Due to the handmade process all items are unique and differ ever so slightly. This item is food/microwave/dishwasher safe. It is glazed in a Matte glaze. 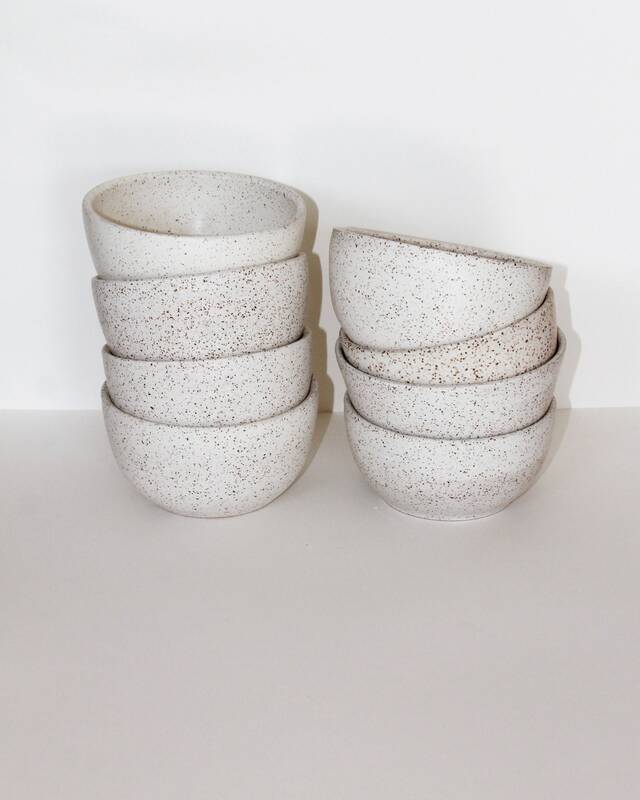 Although the surface of this items is smooth to the touch and to the eye, the micro-surface of the glaze is not smooth. The micro-crystalline protrusions that create a matte look tend to abrade metal (i.e. silverware) that runs across the surface, leaving a mark behind. 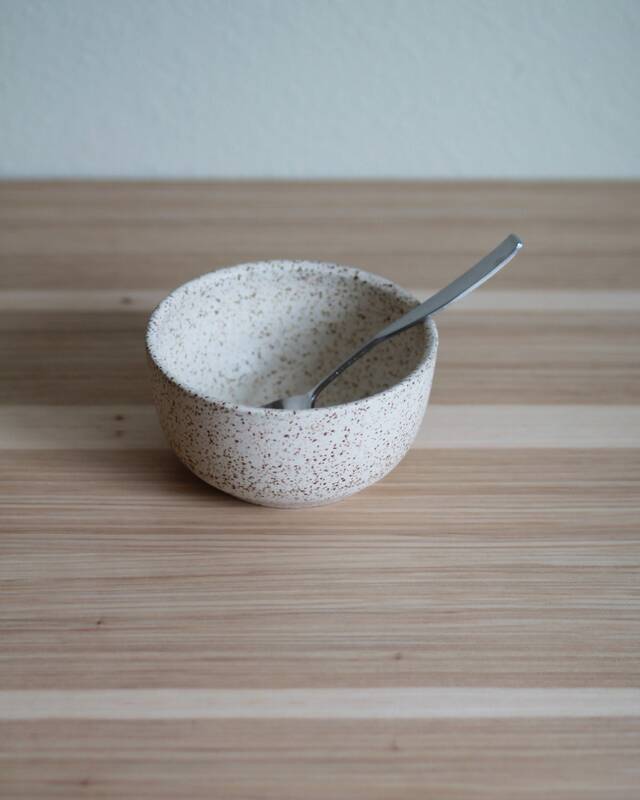 Even commercial matte tableware tends to exhibit this problem. Speckled matte glazes tend to hide this issue but matte glazes without much speckle will show the marks more clearly. If you think this might be an issue for you, purchasing a cleaner specifically designed to remove cutlery marks from matte surfaces is an option. Pfaltzgraff Stoneware and Porcelain Cleaner works well.